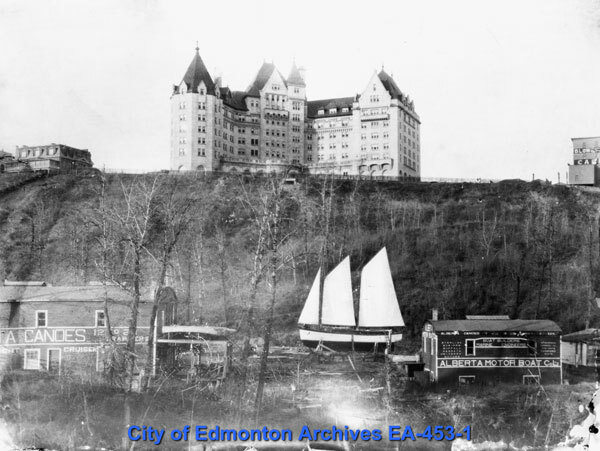 The Grierson Dump was located on the north bank of the river valley east of the Hotel Macdonald, roughly where the Shaw Conference Centre and Louise McKinney Park are today. 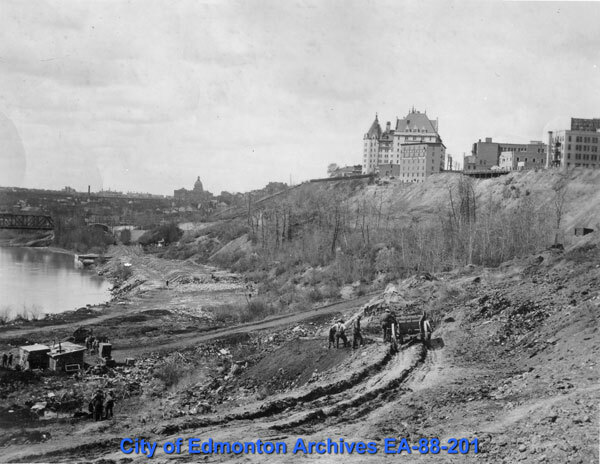 People began using the site as early as 1894, and it became one of Edmonton's first dumps. Paper, scrap wood and metal, broken glass, grass cuttings, manure, tin cans and old clothes all ended up at the dump. Its location near downtown made it convenient, and the City used it to stabilize the river bank. By 1912 the first of several petitions were circulated by nearby residents objecting to the dump, citing the smell, the impact on property values, and the danger to public health, particularly the children who played in and around the site. They were not wrong to object. City dumping grounds were often the site of fires that could take hours to douse. The 1930s are synonymous with the Depression. As a result of massive economic recession, low wheat prices, and drought, spending plummeted, factories closed, farmers lost their land, and thousands were out of work. Because there was initially no unemployment insurance, welfare, Canada Pension Plan or family allowances, many people were left destitute. Jobless men rode the rails looking for work, were put on relief, or were sent to government work camps in the county. It was in this setting that a community of men developed at Grierson Dump. These men, some of whom moved in as early as 1930 came from a variety of backgrounds. Most were immigrants, both recent and not, though some were born in or around Edmonton. Though some residents had families living elsewhere, most were single men, save for a common-law wife in 1935 and two Métis families recorded as living there in 1937. Some were on relief, while others refused. Many supported themselves through seasonal employment such as helping with harvest. 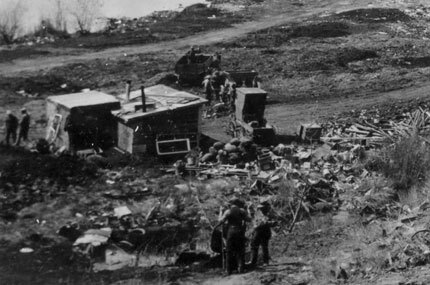 Others scavenged at the dump for mechanical parts, scrap metal or used bottles that could be cleaned and sold to a turpentine firm upriver. 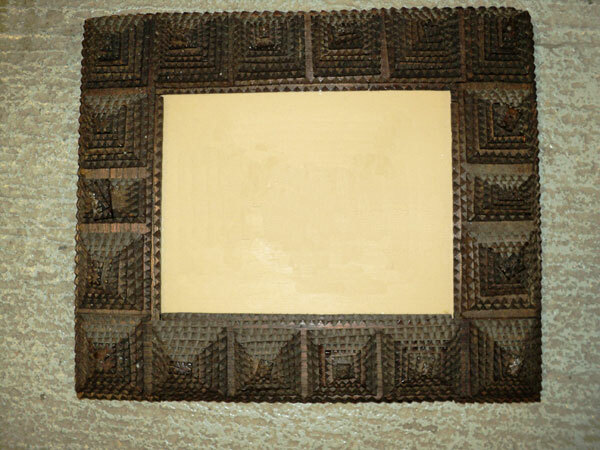 Still others repurposed objects found at the dump creating handicrafts such as flower pots or wicker baskets. Very few of the men were married or had children. Homes were built from whatever cast off material could be found, including paper, cardboard, wire, tin, sheet metal and boards. There was no electricity, running water or natural gas. Light was created by coal oil lamps, and heat provided by coal dug out of the hillside. Water could be drawn from the river and boiled, or taken from a community tap. As time passed, homes were bought and sold as residents came and went. Most homes were single rooms, and filled with furniture that was either found or homemade. Only a few had stoves. It could be a hard life, but for men who refused to go on relief or be sent to a work camp in the countryside, this was a way to retain their independence. 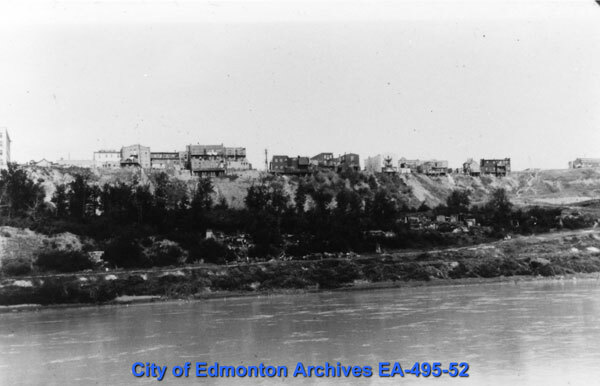 The community was first formally acknowledged by the City in 1932 when Medical Health Officer Dr. R. B. Jenkins informed the City Commissioners of his concerns over the use of river water by the inhabitants – which was likely contaminated by the sewage of a considerable part of South Edmonton. By summer of 1933 fear of disease increased when the second case of typhoid fever was discovered in the camp. Camp conditions were investigated by the police and found to range from neat and clean to just the opposite. Chief Constable A. G. Shute concluded by recommending that housing be found for these men and they be relocated as soon as possible. 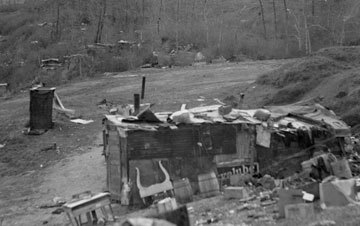 Despite similar recommendations from the Engineering Department and the Local Board of Health, those living at the Grierson Dump were allowed to stay for several years, though there were periodic inspections regarding sanitary conditions. After a particularly damning inspection in April, 1937, the City took action, and set about evicting the residents, though the eviction was postponed until after harvest because of a petition that was signed by 42 of the Grierson Dump residents. 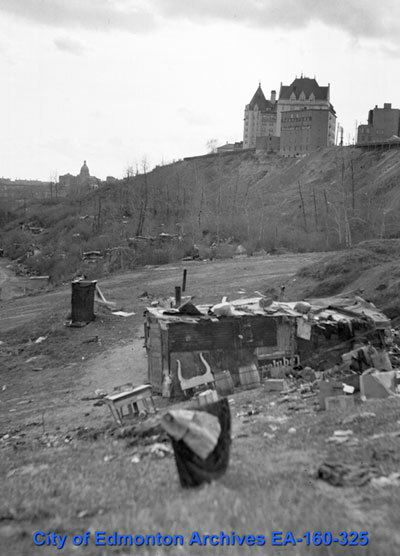 After a lengthy process, the eviction notice was signed on April 19th, 1938, stipulating that all parties must vacate the lands before May 16th of that year. Despite another request by the residents for an extension, the decision was final. When the community had been cleared, the homes were destroyed. This report details the residents of those living at Grierson Dump in 1933. In it, H. F. McKee, manager of the Special Relief Department, recommends that the men living at Grierson Dump "medically examined and if passed as 'fit'" be sent to a work camp. This article ran in the Edmonton Journal in 1935, and provides an excellent description of the community living at Grierson Dump. 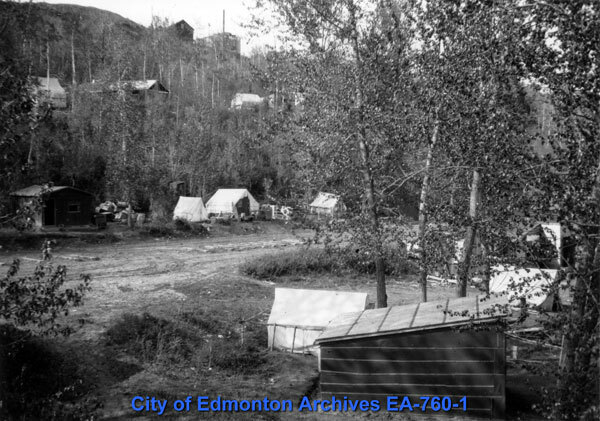 This report details the residents living at Grierson Dump in 1935. This report details the residents and living conditions of those living at Grierson Dump in 1937. This is the eviction notice sent to residents of Grierson Dump in April, 1938. When the community had been cleared, the homes were destroyed. Adult males account for roughly 75% of Edmonton’s homeless population today. Hundreds of people in Edmonton call the river valley their home. They live in tents and makeshift shelters in small camps in City parks.